I feel at home already. 😊 After three lovely days, the weather has changed and I’m wearing my new rubberboots, a rainjacket and a woolen sweater. 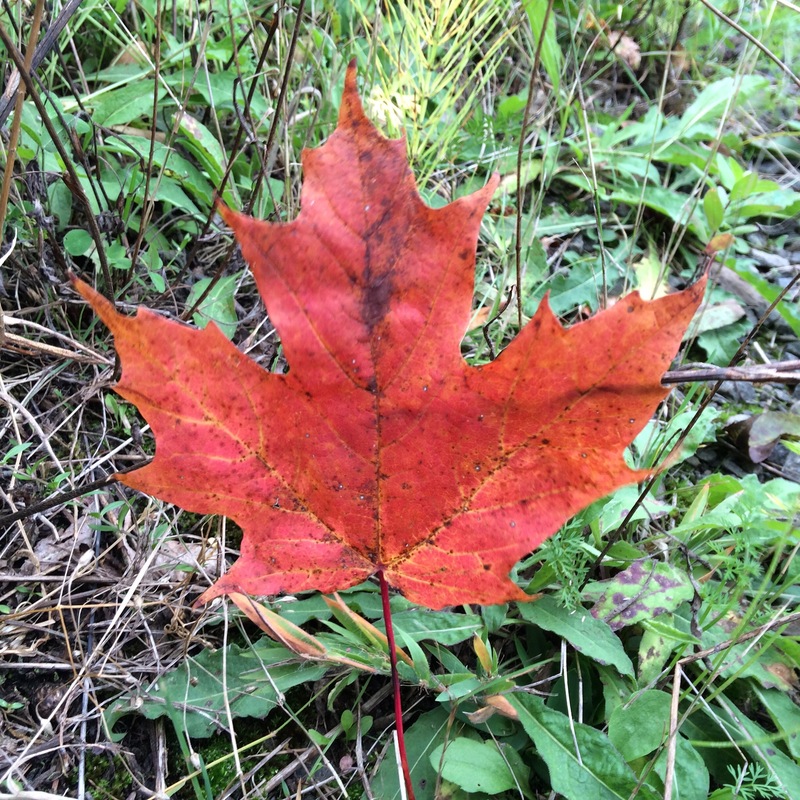 The foliage is changing colours slowly, the loons are all gone south unfortunately, but I spotted a bluejay, and of course there are the littly guys, the chipmonks, that my father-in-law spoils with seeds. 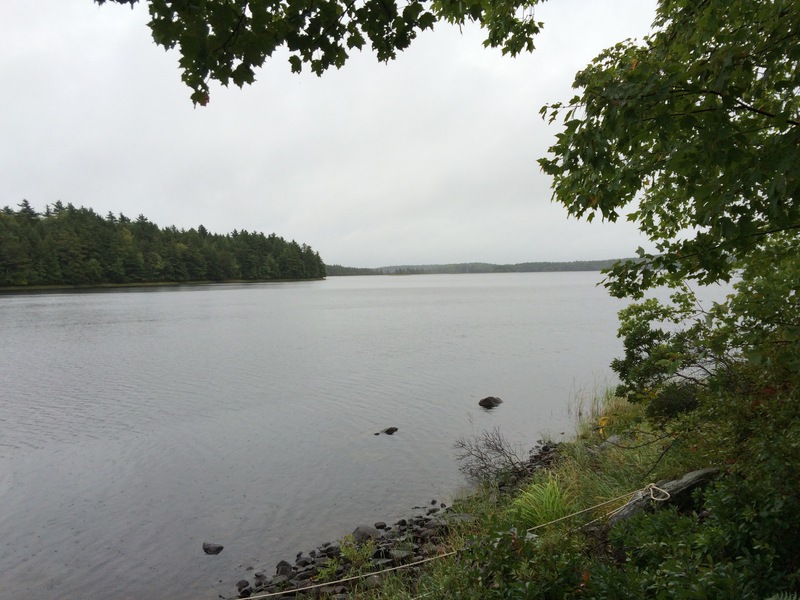 Despite the rain (this is the view from the porch of the cottage) we went to Kejimkujik National Park, where you can do canoing, hiking, biking, camping and learning about the first nation people. There is an exhibition of the Mi’kmaq’s crafts in the visitor centre, like birchbark canoes, tools, baskets. 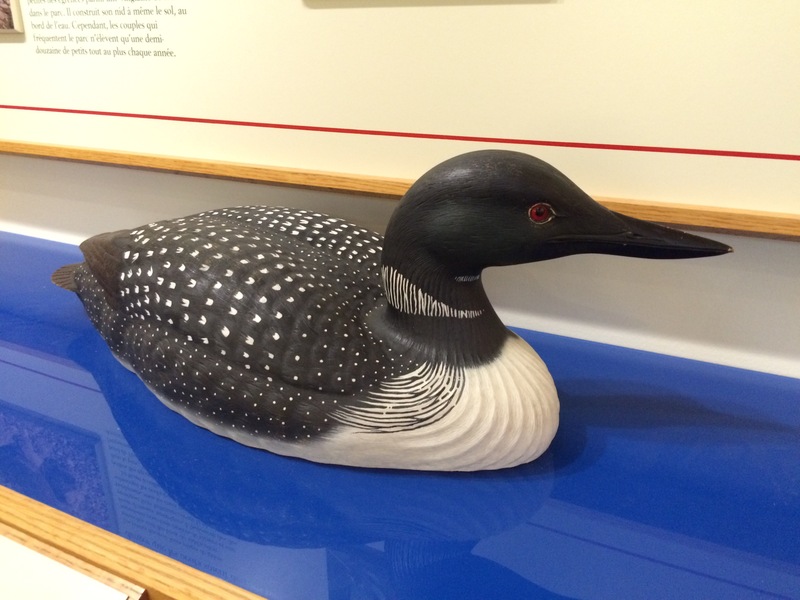 And there are local birds and animals exhibited, for example a loon. 😊 When they swim, you cannot see the body, only the neck and head and a bit of the back. 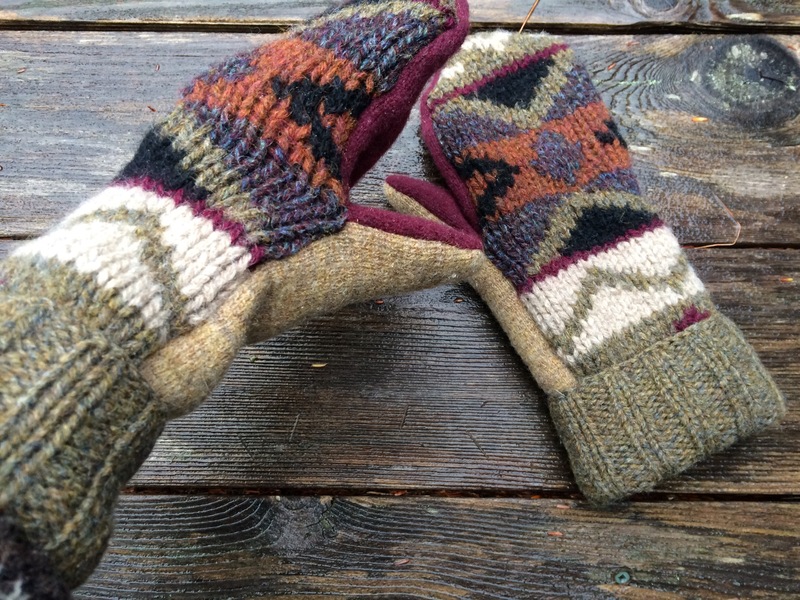 There I’ve found these warm mittens made of old sweaters. You know why I had to buy a pair, don’t you? It took a while to choose the most beautiful pair. And of course I had a little chat with the lovely lady there. Thanks to Suzanne at the visitor centre in Caledonia, I’m connected to the rest of the world from time to time. Hope you have a wonderful time in that gorgeous area. Thank you. We’re in Lunenburg now having lunch in the sun. It‘ beautiful here. Very pictotresque. I Love…. love! your mittens,So unique!.I know why you bought them. 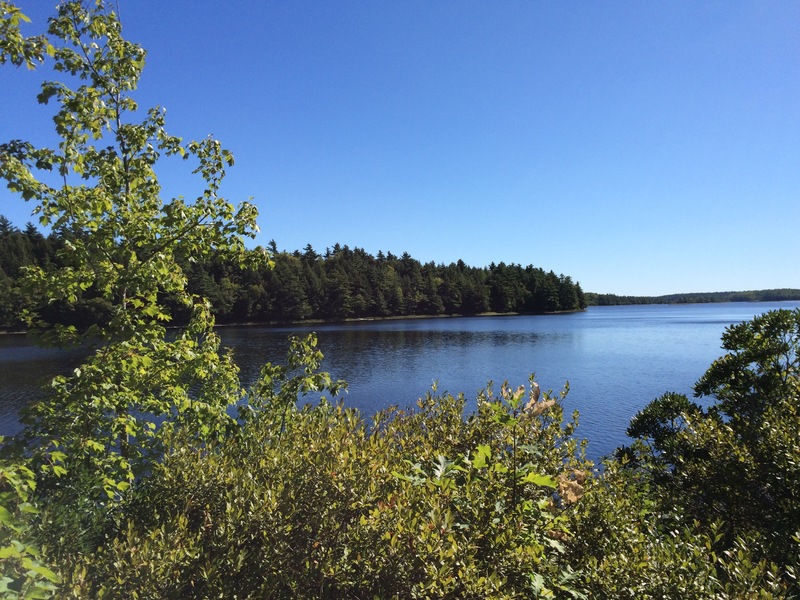 My ex mother in laws had Ancestors from Nova Scotia.What a beautiful place,your trip had to be magical. Now I want to go and see this beautiful place. Enjoy your adventure! Love the mittens!